oh I love labradorite. I have a few objects, and for the longest time, I carried around this pocked piece of squat cylinder of labradorite that I had heavily worked with to help strengthen my intuition and psychic ability. It now is part of a crystal grid, sitting at the center, that I used on working altar that is combined with a runic pentacle, a metal stand that has a ceramic tile that has a single eye design painted on it (which is a great symbol for the all seeing eye, an image I am very fond of) which I use for setting candles on to burn for myself along with any petitions. I also use it just for working petitions even when not burning candles, as somehow the whole set up just feels right. besides that I have labradorite massage wand (that I tend to use just as a small wand) and a larger piece of cabochon labradorite that has a spectacular fire and labradorescence to it that I use as a kind of palm sized shewstone when I am practicing my scrying. For Yule one year a my HP randomly gifted us with different mineral orbs that he had us choose at random without knowing what it was. I got the labradorite orb, which made my day. It also seemed that orb was desired by my HGA, as a kind of touchstone and focus for it to utilize in connecting more with me. You helped me clarify some of my experiences with labradorite. Definitely a favorite stone of mine, too, which I also associated with clarifying the mind and the inner vision, as well as helping to tidy up my aura. Not a psychic pressure-washer like shaman stones or black tourmaline, but just a source of an orderly impulse. 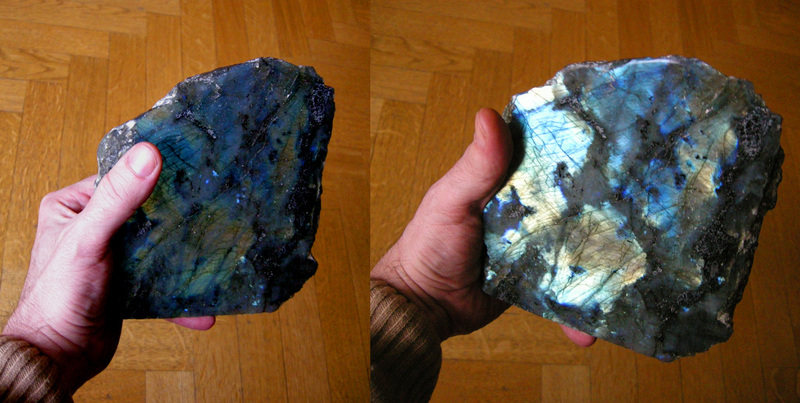 A lot of your descriptions of labradorite backup my own experiences when exploring and working with it. So far I’ve found that it seems to clarify and boost benign, positive, maybe even high-level mental states. 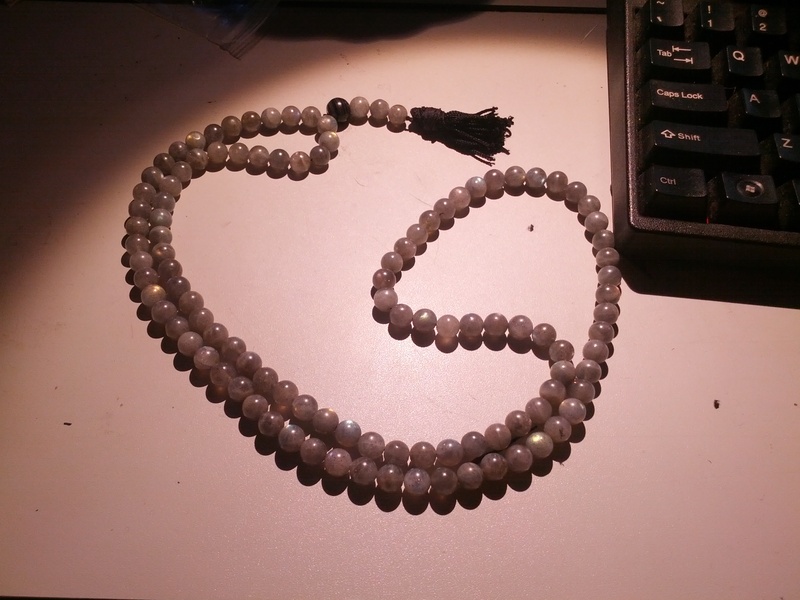 Thus it assists with mental clarity, confidence, psychism, dream recall, and also psychic cleansing. But I’ve found that the cleansing part of it is due more to a “heightening” effect that forces impurity out, instead of a normal action of “washing away”.